﻿ Tubular Plate Batteries - Oldham Batteries Canada Inc.
Tubular batteries provide a full range of sizes BS, Din spec for European compartments, as well enhanced performance and improved reliability. 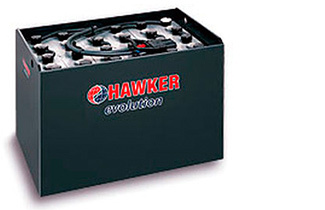 Hawker Europe offers a wide range of tubular batteries, from conventional, low maintenance to maintenance free, and also offers new technologies with the TPPL XFC batteries which are widely used for fast charging. 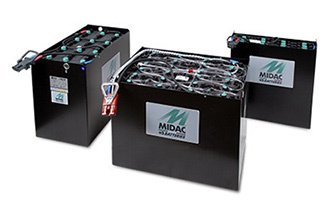 Midac batteries are at the forefront of the European tubular battery market. Each battery is built in a state-of-the-art production facility with the most advanced technology and is sure to offer a flexible solution to any need. Built with flexibility and durability in mind the MDL – MBS is the standard motive power range tubular battery. The MDL – MBS is available in a wide range of possible configurations ensuring the most flexible answer to any specific application.